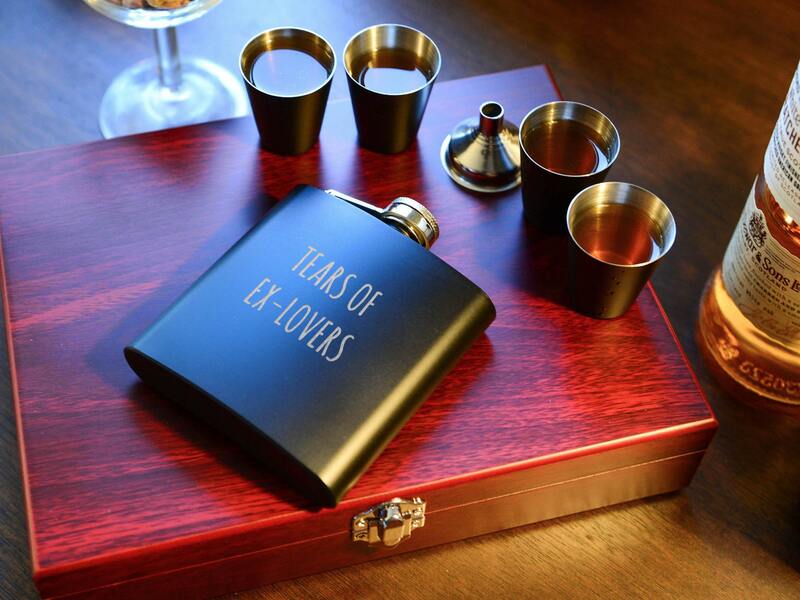 This hilarious matte black personalized flask set is laser etched with "Tears of Ex-Lover" design. 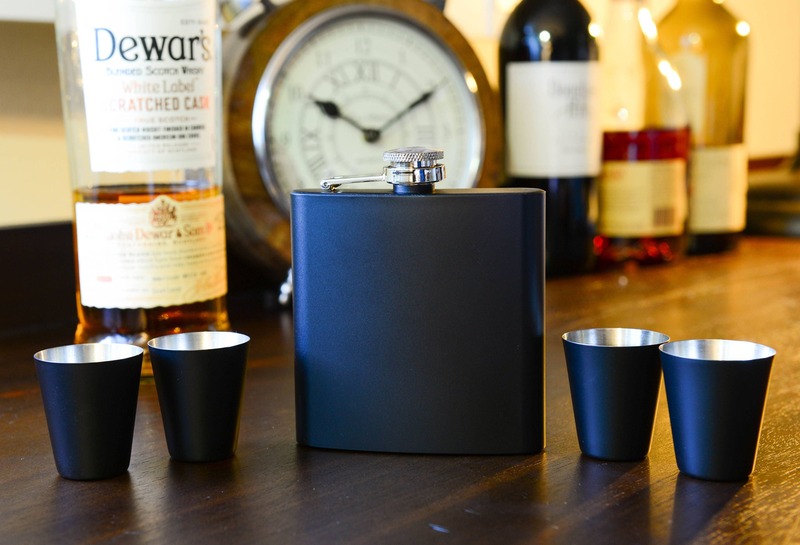 The powder coated stainless steel flasks holds 6 oz. 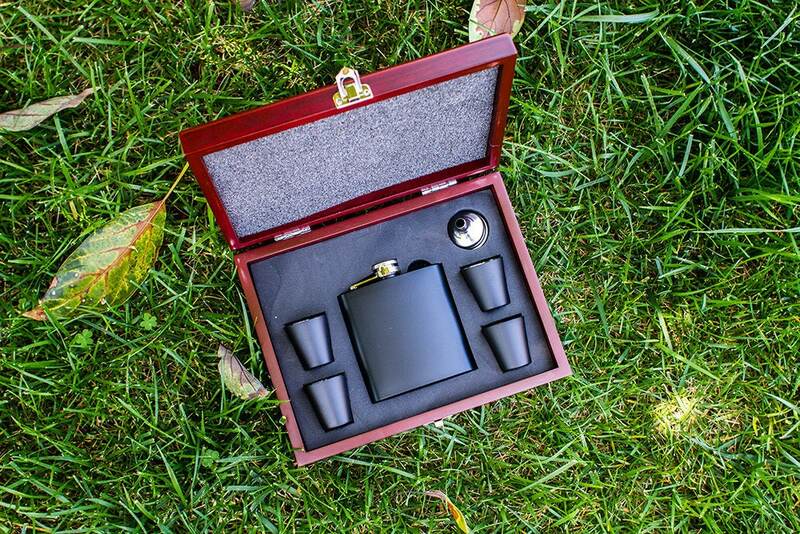 and each set comes with four stainless steel shot cups and a funnel for easy pouring, all housed in a classic rosewood finish box. Gift box dimensions: 9.5" x 7" x 2"